In high school geography (or middle school, if you grew up outside the U.S.), you probably learned about “rain shadows.” A rain shadow refers to a situation where elevated land like a mountain range blocks incoming moisture to a stretch of land beyond it. Eastern Washington/Oregon, as well as Nevada, Idaho, and Utah are examples of this phenomenon. Well, after the threat of a lockout caused a lot of talented underclassmen to declare early in 2010, we felt the “rain shadow” effect in 2011, especially in the later rounds. Last year, several players I had previewed as options at #60 were still on the board in the 4th, 5th, and 6th rounds. This year, of all the players I mentioned as possibilities at #57, a big fat zero were still on the board at the start of today. So obviously, my expectations were tempered. Here is a quick soundbite/impression for each pick. But after seeing the last two drafts by John Schneider and company, I think I get what Rob was talking about. In a much thinner draft crop than last year with far worse draft ammunition, Seattle only had two picks that were in the area of the draft where finding a starter is considered likely, and they spent both of those picks on the offensive line. And lets not forget, in the last calendar year, this team has also spent a very high pick on a franchise left tackle, signed not one but two high profile O-line coaches, traded for a former 1st round running back with a pro-bowl appearance, traded for Leon Washington, and traded for Stacey Andrews, who was once a franchise tagged right tackle. Its abundantly clear that Pete Carroll wants a power running game and he wants it as soon as possible. This reflects his (now uncommon) philosophy of building a run-first team. 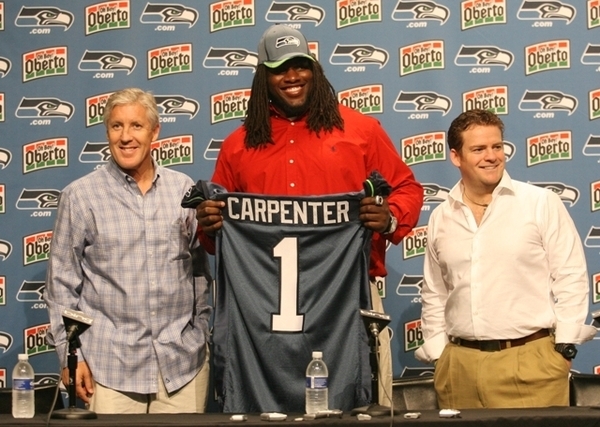 The 2011 NFL draft is in the books and the Seahawks did it their way. With an element of the unknown and a distinct lack of thrills, Seattle added several pieces in the latest chapter of Pete Carroll’s rebuild. Nine players were taken, starting with James Carpenter in round one. My final mock had some significant flaws but I can’t see anyone who had the Alabama offensive lineman placed comfortably in the mid-20’s. He consistently stood out for Alabama as the team’s starting left tackle and jumped off the screen. Regular visitors will have noticed my high regard for Carpenter. John Moffitt (OG), K.J. Wright (LB), Kris Durham (WR), Richard Sherman (CB), Mark Legree (FS), Byron Maxwell (CB), Lazarius Levingston (DT) and Malcolm Smith (LB) were added in the subsequent rounds. Yet one key position was surprisingly ignored. It’s now six years since the Seahawks drafted a quarterback in the first four rounds (David Greene, 2005 being the last – in round three). By the time we’re ready for the 2012 draft it’ll be seven years. Of course the Seahawks have invested stock in Charlie Whitehurst, but rest assured if the team had any confidence in his ability to start, it would’ve been announced by now. He has one year left on a very expensive contract and is approaching 30. It’s not harsh to suggest this was a calculated gamble that isn’t going to work out. I understand why the current front office have not added a quarterback. Last year’s draft offered slim pickings at the position and selecting so late in round one this week put the Seahawks in a position where reaching was the only solution. They passed on Ryan Mallett twice, yet nobody can complain considering his gigantic slide into round three. The situation though, as a complete entity, is stunning. How can a team drift into the position it’s in at quarterback? 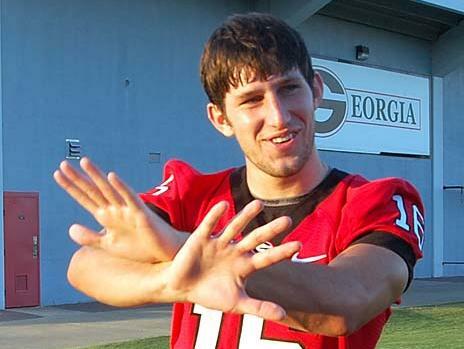 Quarterback?Of all the positions. You know Matt Hasselbeck is approaching the end of his career and if he starts in 2011 – he’ll be the oldest starting quarterback in the league. You know he’s going to be a free agent this year and with the greatest respect to one of Seattle’s favorite sons, his performance has declined. With no young quarterback waiting in the wings, the Seahawks’ greatest challenge is now to complete a deal for their next starting quarterback. Trent Dilfer claimed today the team won’t re-sign Matt Hasselbeck. My source said it’s still a possibility and only a disagreement on guaranteed money prevented any chance of a short term extension before the lockout. With so many teams addressing the quarterback position during the draft in round one, this surely narrows Hasselbeck’s bargaining position? Teams are not going to sign your Jake Locker’s, Christian Ponder’s and Cam Newton’s to blockbuster deals and still spend premium dollar on a two year contract for a 36-year old. Indeed Hasselbeck’s options are fairly limited at this stage, perhaps exclusively to the NFC West. I’m not even sure the likes of Arizona and San Francisco would show much interest. Would a team like Washington show interest as a stop-gap option? If he lowers his demands, it increases the likelihood that he could return to the Seahawks. – The Bengals are preparing to start with Andy Dalton and want to move on. They don’t want any controversy with Palmer potentially turning up to camp having been denied a trade, earning a premium salary and causing a major distraction. It’s not as simple as Palmer arriving at camp and suddenly becoming the starter again, with everyone happy. Carson Palmer can make life very difficult (and expensive) for Cincinnati and it’d be a fruitless battle for the Bengals having firmly set their new direction during the draft. – Palmer is willing to re-negotiate his contract and take a deal worth less than the one team Hasselbeck is asking for. Money is not dictating any part of Palmer’s life at this stage. He is currently in the process of arranging a permanent move to the pacific north west for family purposes. He will move there either as a retired ex-player or as a Seattle Seahawk. He won’t consider any other team, which will prevent a bidding war. Again, Mike Brown may have a reputation as a man not to be dictated too, but he ‘gets’ this situation. The Seahawks are no threat to the Bengals in the NFC West, save for one game in 2011. Why not receive some compensation and avoid any distraction? Bengals owner and president Mike Brown has said he will not trade Palmer, but sources say he may consider it if the team secures a quarterback and gets a favorable trade offer. Several teams such as the Raiders, 49ers, Seahawks, Cardinals and Dolphins are among those that could be interested in the veteran, who was the No. 1 pick in the 2003 draft. Quarterback secured, Bengals now considering it. Things can change quickly in this deal. Already the Seahawks and Bengals have gone from talking about potential first round compensation to a much cheaper arrangement. I’m not suggesting a deal is anything close to a ‘lock’, but it’s very much on the table. The Seahawks’ investment in the offensive line was part one of an offensive remake which will include a veteran quarterback addition. It could be Hasselbeck, back on a two-year deal. It could be Palmer. Rest assured the Seahawks’ lack of investment in a quarterback during the draft wasn’t without a plan. This was a no thrills draft, but the fireworks will begin whenever free agency opens for business. Round four begins at 9AM PST. The Seahawks begin the day with seven picks: #99, #107, #154, #156, #173, #205, #242. With the 99th overall pick, the Seahawks selected K.J. Wright, linebacker from Mississippi State. With the 107th overall pick, the Seahawks selected Kris Durham, wide receiver from Georgia. This is the place to talk about everything that happens on the final day of the 2011 NFL Draft. Select comments to join the discussion. I would recommed starting a new comment every time you post and if you want to reply to someone, simply right (for example) @Rob at the start of the message. (1) Seattle picked near the end of each round this year and only had 1 pick in rounds 3-4 at the start of this thing. If you whipped out the NFL draft chart and added up the total points we started with, we’d probably be bottom five this year in terms of total draft stock. As such, we needed luck on our side if we wanted another draft that pundits would fawn over. (2) Those lucky breaks didn’t happen. Holy hell has the draft board not fallen our way this year. Cameron Jordan going right in front of us at #24. Rodney Hudson was taken two picks before ours at #55. Between our newly acquired mid-3rd rounder and our early 4th, four DTs have left the board: Casey, Nevis, Ellis, and Fua. Even Ryan Mallett was taken right in front of us at #74, although its pretty unlikely Seattle would have taken Mallett at #75 anyway. Other than possibly Mark Ingram, an obvious pick didn’t exist at #25. There was no obvious value pick at #57 and I absolutely think Seattle did the right thing moving down to pick up an extra mid-4th. Pretty much every offensive and defensive lineman they would have considered at #57 was still there at #75. An obvious move but a great one nonetheless. Seattle got lemons this year, and is making lemonade as best they can. The Seahawks added a second player to their offensive line on Friday, drafting Wisconsin guard or center John Moffitt. It follows the acquisition of James Carpenter with the #25 overall pick, a player expected to feature at right tackle. It further emphasises the team’s ambition to improve the offensive line with three high picks in the last two drafts. Seattle traded down from the #57 pick after a deal with the Detroit Lions (who took running back Mikel Leshoure). The Seahawks moved down to #75 where they took Moffitt and added another fourth round pick (#107 overall) while switching picks in rounds five and seven with Detroit. The Seahawks will be back on the clock shortly after round four begins, making the second pick when the draft resumes at 9AM PST on Saturday. He’s 6-4 and 319lbs, with 33 inch arms and experience starting at guard and center for the Badgers. He ran a 5.55 at the combine and benched 23 reps. The first thing that stands out to me is a need to improve his overall strength, because for a guy his size he’s not that powerful. It’s something he’s had an issue with against physically superior defensive lineman. Neither is he particularly mobile or an above average athlete. Moffitt does a good job finishing his blocks and he’s a grafter, but he’s not an obvious zone blocking fit. Aside from a lack of obvious mobility, he’s not a great second level blocker and sometimes struggles to diagnose what his role needs to be on a given play. There are flashes of an edge on the field, which is good to see – but you’d like to see that nastiness more often because it exists. Some things you maybe don’t know about Moffitt, apparently he’s a soundbite wonder for the media, often making entertaining quotes to the press. He’s also started 42 out of the last 45 Wisconsin games. Two things stick out to me as we approach the final day of the 2011 draft. Firstly, despite the links to Tom Cable and Alex Gibbs, this is very much a different approach to the Gibbs philosophy. Size is the order of the day, which goes against a lot of what Seattle’s former line coach would preach. Clearly the offensive line has been an issue for some time and it’s getting a make over in two drafts. It’s not the only area of need, however, and it’s not the only reason why Seattle’s run game has been poor the last couple of years. Secondly, there appears to be real contrast in the way the team has gone about business. Last year there were bold moves to trade for running backs like Lendale White, Marshawn Lynch and Leon Washington – all at the expense of draft stock. The trade for Charlie Whitehurst was considered an expensive yet calculated gamble to fill a vital position. Last year they invested a second round pick in a wide receiver with very raw talent but needed some polish (Golden Tate). Twelve months on, it’s been nothing but conservative. Two additions that won’t win any style points and a determination to accumulate picks rather than spend them. Of course, the lockout plays a part in that. Yet this is seemingly a very different approach. The Seahawks made a very solid pick last night that absolutely warranted the #25 overall selection. The only problem is, the Seattle Seahawks themselves didn’t warrant picking that deep in round one. When I mocked James Carpenter to Philadelphia at #23 it was with an absolute appreciation for his talents. I spent a whole draft season arguing that you didn’t need to draft a Gabe Carimi in round one because a more talented player like Carpenter would be available later on. He was a potential sleeper that caught the eye for Alabama – raw, but with potential to be a starting tackle in the NFL. His stock seemingly improved during the Senior Bowl when many others started touting a rise as high as round two. It was enough in the end for me to feel confident putting him in the first round – he is better than Carimi and Anthony Castonzo, he’s been blocking for a structured run offense in the SEC that created plenty of opportunities for Mark Ingram and Trent Richardson. He kept Greg McElroy clean at left tackle. This is the kind of player you expect to go 25th overall. A player you plug in at right tackle on a team already with the key components, and a guy you will have no issues filling in on the left if needs be. Yet the team picking at #25 is supposed to be a contender, a franchise fresh off a 10-win season looking to add to their core – and that is not the Seattle Seahawks. I can’t criticise the pick as a strong admirer of the player, but I do believe they just need more to keep up the momentum of this rebuild. The Detroit Lions took a succession of poor seasons, including a 0-16 record, and are rebuilding with an identity for the long haul. On offense they have Matt Stafford throwing to Calvin Johnson, with Jahvid Best and Brandon Pettigrew offering first round talent at positions of production. Now they are building their defense around the major interior force of Ndamukong Suh and Nick Fairley. St. Louis equally are going through a lasting rebuild with high picks, which has carried a strong element of pain along the way. The reward is a much improved defense and pass rush from last year and the further addition of a potential top-1o talent at defensive end. They have an improving offensive line to support their franchise quarterback. Maybe the Seahawks need a taste of that misery? Maybe it’s time to accept the situation – that to get great, it’s not going to happen winning divisions at 7-9. Of course it doesn’t necessarily have to take years of losing to improve, it’s also about capitalising on opportunities. Atlanta made the right move when they picked #3 overall in 2008 by finding their franchise quarterback. They’ve built around the player and created an environment where they’re comfortable spending two first round picks on a receiver. 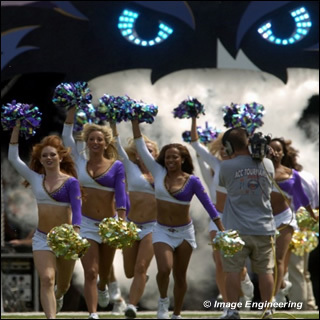 Baltimore turned a significant slump into Joe Flacco and Tampa Bay’s resurgence came after taking the plunge on Josh Freeman. The common factor is the investment at the quarterback position. The Seahawks, of course, continue now with just Charlie Whitehurst as the only contracted quarterback on their roster. They continue to lack a really excellent pass rusher or cornerback. There isn’t an x-factor type talent on the offense. With all those things taken into consideration and despite my approval of Carpenter’s abilities, I can’t help but think this rebuild will stall until they’re able to address those areas. The Seahawks needed to invest in a quarterback in 2009 when they were picking in the top five. Now, two years later, that need remains and faces the prospect of dragging into 2012. That is too long. Pete Carroll and John Schneider have talked about adding to the ‘core’ but let’s be honest, it’s not all that substantial. There’s a very strong possibility the Seahawks will trade for Carson Palmer. If teams are allowed to trade players today and tomorrow, it could even happen this weekend. Let’s just assume that doesn’t happen for a moment, almost certainly meaning the team re-signs Matt Hasselbeck. What do you make of the situation? In terms of continued improvement and progression, how much can Carpenter really provide the 2010 version of this franchise? If free agency takes on the 2010 rules, it’ll be incredibly difficult to add talent due to the elite-8 rule which prevents the divisional playoff teams from adding players without losing their own. Last year the Seahawks were able to add top-15 talents at two key positions. Is right tackle a key position when you don’t have the quarterback, the pass rusher or the big time playmaker? They were able to make numerous free agent moves and adjustments twelve months ago. That may not be possible in 2011. I think the Seahawks need more top-15 picks. They need to be in position to add the Patrick Peterson or the Robert Quinn, to have their shot at the quarterback like Tennessee and Jacksonville. The only problem is, you have to be largely unsuccessful to achieve that ‘status’ for want of a better word. Picking James Carpenter at #25 is the right kind of value late in round one, it may just not be the right kind of value for a 7-9 Seattle. Saying they’re a victim of their own success (such as it is) may be a little strong, but that’s the lasting impression I have from yesterday’s pick. Good value, good player and doing the right thing at #25 to make the best of the situation. Ideally they would’ve been picking earlier because the 7-9 record represents the quality of this roster. They may need to pick earlier again in the future to become a regular contender, add key individuals and accept the pain that comes with it. The Seahawks were unable to trade down in the first round, meaning they will own one pick today during rounds two and three – the #57 overall selection. So what are the options? Having very much stuck to their board at #25 and resisted falling talents such as Da’Quan Bowers and Jimmy Smith, I expect a very similar situation in round two. They like Colin Kaepernick, but clearly felt there were better options in round one. Will he be available at #57? It remains to be seen in a draft that has created major shocks at quarterback. Minnesota reached for Christian Ponder, Tennessee denied Washington the opportunity to draft Jake Locker and Ryan Mallett fell out of round one completely as my source predicted yesterday. Cincinnati have to be in play at the position, I’d go as far to say it’s a certainty that the #35 pick will be spent on a quarterback. Washington at #41 and Oakland at #48 are the other teams to watch and I understand that the Raiders pick may be the area where Ryan Mallett is salvaged. If you are hoping the Seahawks take a quarterback, keep an eye on Kaepernick in these spots. There is depth on the defensive line still available. I think the Seahawks would consider Stephen Paea if he fell in round two and possibly Marvin Austin as well. Jarvis Jenkins is a possibility, as is Terrell McClain. How far will Justin Houston and Christian Ballard fall after failed drug tests? Having dropped out of round one completely, what now for Da’Quan Bowers? Jabaal Sheard and Brooks Reed remain as LEO options. Pete Carroll knows all about Jurrell Casey. I struggle to look past the defensive line and quarterback positions, because that appears to have been the thought process all along. Seattle’s plan, as mentioned yesterday, was offensive line, defensive line and quarterback in that order if they couldn’t move down in round one. I’m not convinced too much changes approaching the #57 pick. Wow. I just don’t know what to say. After waiting what felt like 5 minutes for Goodell to read the Seahawks card after they handed it in and hearing the result, I sat in stunned silence for about a minute, and then I told my brother and father, who I was watching the draft with, “it could be worse.” I started to wonder when was the last time I was so unpleasantly surprised by a Seahawks first round pick. I thought back to Lawrence Jackson, but even then, Jackson was a fringe first round prospect and not considered as much of a reach. Plus, Rob Rang had predicted Seattle would take Jackson on the eve of the draft, so it wasn’t totally out of the blue. (More after the jump). The first round of the 2011 NFL Draft is in the books and it had more twists than anyone expected. After a predictable start with Cam Newton going first overall to Carolina, we had a number of big shocks. Atlanta traded up in a pro-active way to grab Julio Jones and help their quarterback, Tennessee picked Jake Locker ahead of Washington and Christian Ponder was taken 12th overall by Minnesota. Not wanting to feel left out, Seattle pulled off a surprise by drafting James Carpenter (OT, Alabama) with the 25th overall pick. A surprise to many, anyway. On Thursday my source told me the Seahawks would favor offensive lineman if they couldn’t move down and I touted Carpenter as an option alongside Danny Watkins (already off the board) and Rodney Hudson. Regulars to the blog will know how highly I rate Carpenter. He originally caught my eye early during the 2010 season and stood out for the Crimson Tide as the team’s left tackle in 2010. He’s athletic and has the lateral agility to play left tackle and understands run blocking as you’d expect from the Nick Saban offense. However, my impression watching Carpenter was that his greatest strength was in pass protection. He had no problems playing at left tackle, which is why I valued him so highly in the first place. At times, he didn’t look unlike Michael Oher – although not necessarily as physically gifted or as aggressive. I have always maintained that if I’m taking an offensive tackle in round one, they have to be able to play on the left. Seattle passed on Gabe Carimi, as I would’ve done, almost certainly because he is a pure right tackle. You won’t fear Carpenter stepping in for an injured Russell Okung. It’s easier to show a left tackle to play on the right than vice versa. I rated Carpenter highly enough to put him at #23 to Philadelphia in my final mock draft. He turned 22 at the end of March and stands at 6-4, 321lbs. He came from the JUCO ranks prior to joining ‘Bama. From a pure talent stand point, it’s a very solid pick. I cannot criticise the selection from that perspective because it correlates with my own grade. It isn’t a reach, he will contribute immediately and has much more potential than perhaps people realise. The only real issue is that Seattle has taken a player in the right kind of area and it highlights once again that a poor 7-9 team is picking 25th overall. You see St. Louis adding a guy like Robert Quinn to their already solid pass rush and suddenly they have their franchise quarterback and they have an ever growing defensive line. There’s identity written all over the team. Who are the Seahawks? They are a team that is realistically staring at a stop-gap option at quarterback, a team lacking a dominating defensive lineman and without any star skill players on offense. Did they need to keep hitting on top-15 talent, especially at key positions? Is a right tackle a key position? Or guard? They now have two first round offensive lineman – a third if they re-sign Chris Spencer. Max Unger cost a second round pick. I’m not sure any team has invested more draft stock into the offensive line than Seattle over the years, but the results haven’t always been there. Carpenter adds to it now, but the Seahawks cannot expect miracles. If you stack eight in the box, they will beat your five offensive lineman more often than not. Too many times in the last three years Seattle has faced that look and I wonder if it’s part of Seattle’s desire to have mobility at quarterback. The success of the 2005 Seahawks was greatly enhanced by the left side of the offensive line, but it was helped along by an elite running back and a Pro-Bowl quarterback in his prime. This current line may be blocking for the same quarterback, now 36, and without anyone capable of running the way Shaun Alexander did at his best. Let’s also appreciate the precision and execution of the Holmgren offense during those days. So my judgement would be – Carpenter has the talent to justify the pick. Whether the Seahawks can justify taking offensive lineman in round one back-t0-back is a question that will only be answered in years to come. People may ridicule that statement, but this is a team with a dearth of talent at premium positions and eventually that has to be recognised alongside the offensive line. As expected the team passed on Ryan Mallett, the source highlighted his lack of mobility as being one reason (I now believe there are more) for not going in that direction. I understand Oakland may stop his fall tomorrow. Jimmy Smith – a legitimate top-10 talent with character concerns – went just after Seattle. Mark Ingram landed in New Orleans, who lucked out also adding Cameron Jordan. Da’Quan Bowers’ knee injury is clearly a major issue as he is still available. It sets up for an interesting Friday when the draft re-starts at 3PM PST. The Seahawks own the #57 overall pick. Will Colin Kaepernick make it that far? What about Da’Quan Bowers? There’s still a lot of talent on the board. Thank you to those who participated in making the live chat a major success. We’ll do it all again tomorrow just before the second round kicks off. I’ll also announce the winners of the mock draft competition soon.